“Not only did Daniel help me with my mobility and suppleness, he also helped me recover from injuries and become a more confident athlete. Having spent a number of years in and around Everton Football Club, I’ve known Daniel for some time. Everyone who has worked with Dan couldn’t speak highly enough of him – me included. His attention to detail is exceptional and he always puts the athlete first. Tony recently won the cruiser weight world championship in a fairytale bout at his second home, Goodison park. The special night was packed with thousands of Evertonians roaring him to victory and this echoed very much his recent performance in the latest Rocky film. Tony has worked hard for many years to perfect himself as an athlete and boxer and leaves no stone unturned in this process. Tony Bellew is a British professional boxer and actor.He is the current WBC cruiserweight champion, having previously held the European cruiserweight title, as well as the British (twice), Commonwealth, and other titles. As an amateur he is a three-time former ABA heavyweight champion. 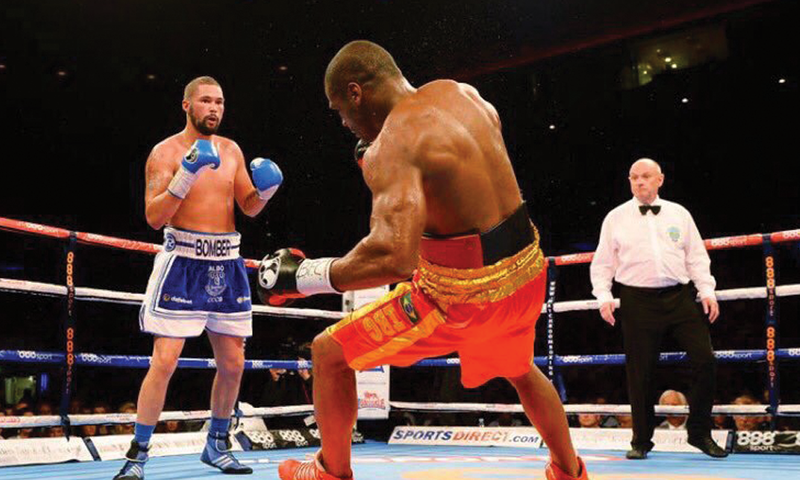 Bellew made his acting debut by co-starring in the 2015 sports drama Creed. Tony continues to defend his world title and his next fight is scheduled in Liverpool this year. He maintains a strong connection with Everton FC and will often be found watching the team at Goodison park. He continues to train with his long term coach and has a group of people supporting his performance.